Google is entering homes in a way that it never has before with the help of Nest, which it has acquired for $3.2 billion in cash. The acquisition of the connected home manufacturer will allow Google to compete against Apple and many of its other competitors as it moves into the Internet of Things industry. Out of the many acquisitions that Google has been responsible for, this one is the only second to its purchase of Motorola for $12.5 billion in 2012. Of course, this suggests that Google sees a significant amount of potential in the connected home industry moving forward. Continuing on with an overall upward trend, Google’s shares were up 0.5% to $1,128.49 during extended trading hours on Monday. 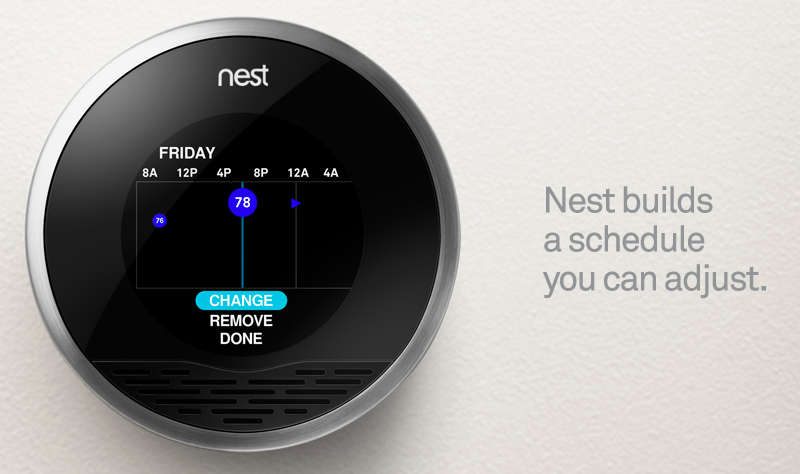 Unlike some acquisitions where the buyer will take over the company and its pre-existing brand will disappear, Nest will continue to operate as its own company and will simply view Google as its parent. This is similar to the agreement that Google has with Motorola, where the phone manufacturer is able to remain separate from Google. Google has always benefited from having more consumer information since a large portion of its revenue comes from working with advertisers, so having extended access to consumers with Nest’s devices will simply allow Google to expand user profiles. Nest was formed in 2010 by Tony Fadell and Matt Rogers, both of whom worked at Apple before starting their own connected home company. Fadell, who is in charge of the company, will be working directly with Google executives once all of the details of the deal are worked out and things become official. Summary: Google has purchased Nest for a total of $3.2 billion in cash. Much like the acquisition of Motorola, Nest will continue to operate separately from Google but its executives will report to Google before significant business moves are made. This acquisition is unlikely to negatively affect the devices that Nest puts out over the coming years but it will allow Google to have a better foothold in the “Internet of Things” industry.